God above, I stand before You today as Your humble servant, powerless and weak when compared to Your vast excellence. In this world and the next, You control all, including my life and I stand to gain everything in my worship of Your name. Lord Almighty, I pray for instant miracles that will turn the supposed disadvantages in my life to advantages. Your miracles will touch all parts of my life and testimonies will not be far from my mouth in my long life Father. I pray that You allow not the jest from my enemies and instead, make me a living wonder that will preach Your mercies all the days of my life. I thank You for Your answers and In Jesus Name I Pray, Amen. The scripture talks about when you have faith the size of a mustard seed then nothing will be impossible. A mustard seed is one of the smallest seeds. God could have said, “If you have great faith, if you never doubt, never get discouraged, if you always expect big things, then I’ll do something great.” God knew there would be times we wouldn’t have the faith we need to reach our destiny. He said, “If you’ll just have a little bit of faith, that’s all you need. Then, I’ll do My part. I’ll exceed your expectations.” The fact that you’re reading this tells me you have at least mustard seed faith. That means you have the faith for God to show out in your life. You have the faith for God to thrust you where you could not go on your own. Amen I need miracles in my life Pastor. Man of God prays with me unknown source began this month taking money from my pay cheque, call it garnishment, I am going to my job office this coming Monday, April 8th to check, they got to stop, when I am praying for an increase, they are taking money from me leaving me short, this is the devil digging out eyes into my finances & it got to stop in the mighty name of Jesus. Amen, l receive it in Jesus Name. Father make a way for me and let your name be glorified in my life. I exercise my faith now and believe God for a turnaround in my finances. I receive this blessing in exceeding abundance in the Mighty Name of Jesus, Amen and Amen. Hallelujah.Thank you Jehovah. I praise you Lord. I receive it in Jesus name. Oh God, please turn those disadvantages into advantages. Amen. I AM A LIVING TESTIMONY MY GOD.PASSING THROUGH HARD ROCKS, MY JESUS, DEVIL’S REIGN OF TERROR IN MY LIFE AND MY’S LIVES IS OVER…LORD I HAVE FAITH AND BELIEVE IN YOU MY LORD. 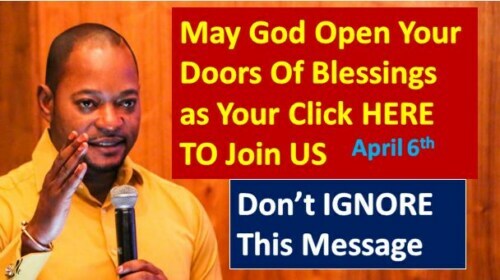 I HAVE NO OTHER GOD BUT YOU… GOD OF PASTOR ALPH LUKAU. Seigneur Dieu d’amour merci d’ouvrir les écluses de bénédictions. Bénis moi et toute ma famille. Tournes ton regard vers Dorien mon fils qui va de rechute en rechute. Relèves le Seigneur. Bénédictions divines au pasteur Alph Lukau. I receive it papa.. My job my financial miracle…my house my car my God z able to xceedingly above all i ask for..
Lord God visit my situation as I believe with this little Faith of mine you will multiply my belief on you in Jesus name I pray. Amen.